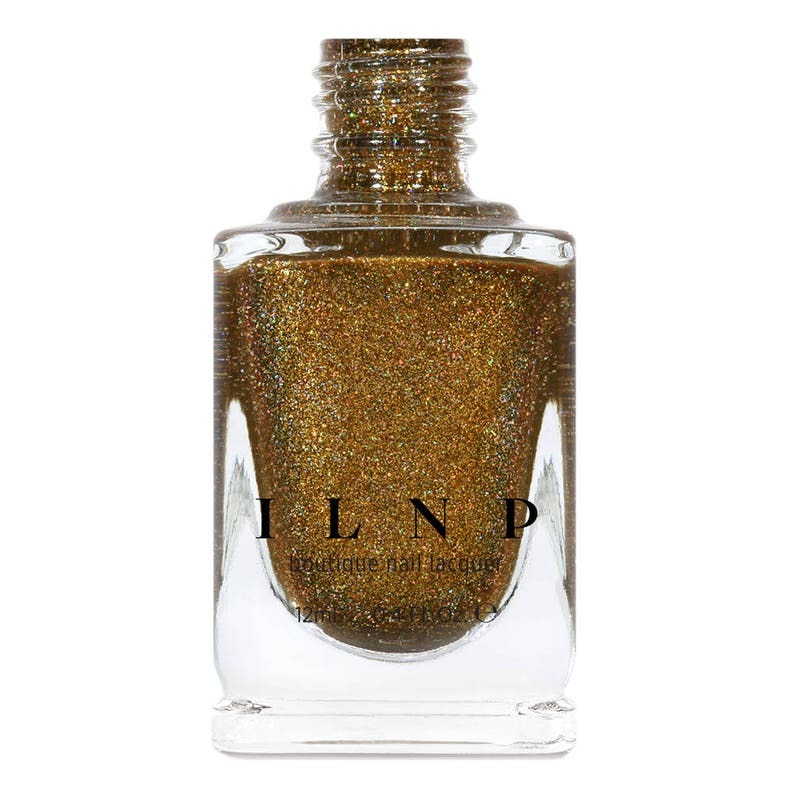 Simultaneously down to earth and ethereal, Sparks May Fly is an incredibly flashy Dijon yellow nail polish powered by a golden bronze shimmer! Sparks May Fly is accented with just the right amount of holographic magic, certain to ignite a rainbow of sparkle all over your fingertips the minute you step outside! Fully opaque in 2-3 coats! Always fast delivery and top quality and creative colors. I use this for crafting glass eyes and have dozens of colors that come from YOU!!!! Gorgeous brown-gold color. I wanted something metallic, a little aged-gold, and this works beautifully! This is a go-to color for me. Just beautiful!